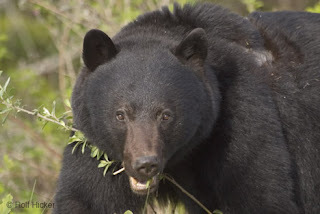 True Wild Life | Black Bear | Black Bears are the most common bear found in North America. The black bear's terrain ranges everywhere from Alaska to Canada to Mexico, and there have been occasional sighting of the black bear further into South America. 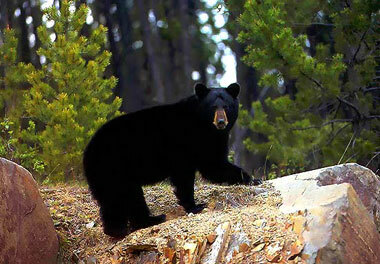 Black bears generally grow to about 180cm tall and weigh around 300 lbs. Extremely large wild male black bears have been seen to grow over 250cm tall! 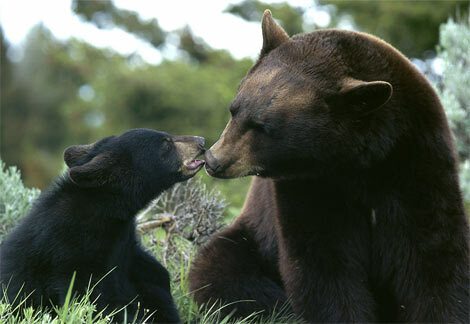 Black bears have been known to run at speeds of 30mph for short periods of time and are good swimmers. The black bear's large claws make them good diggers, and make find hunting for grubs in the dirt a piece of cake!